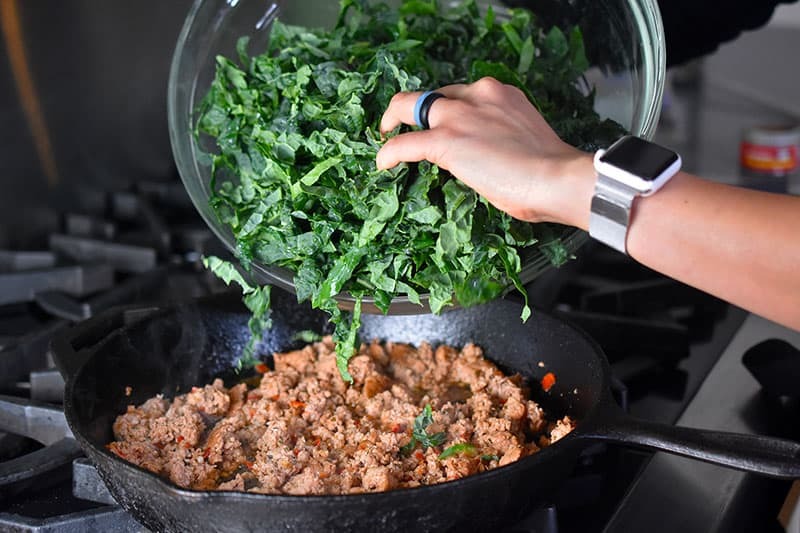 Italian Sausage + Kale Casserole is a Whole30-friendly, comforting supper that will please the whole family! 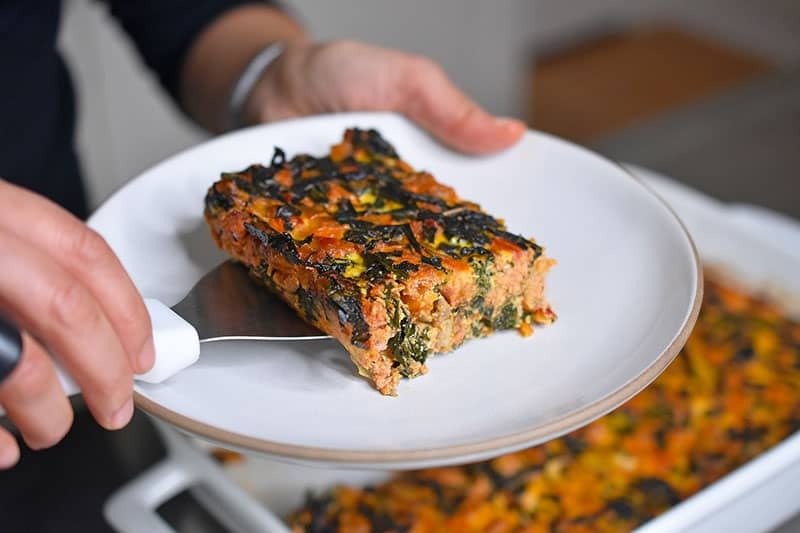 Eat it now, or slice it up and toss it in the fridge for the coming week’s packed lunches! 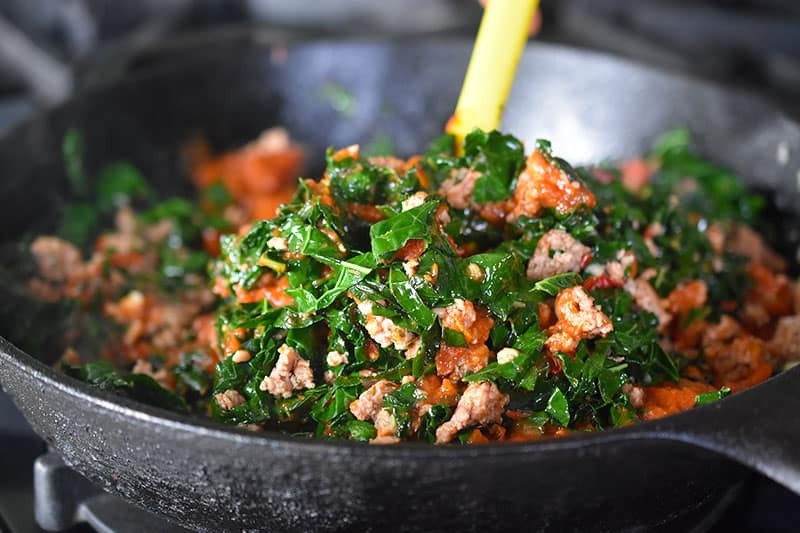 Time for another brand spankin’new recipe: Italian Sausage + Kale Casserole! This Whole30-friendly weeknight supper is a family favorite. 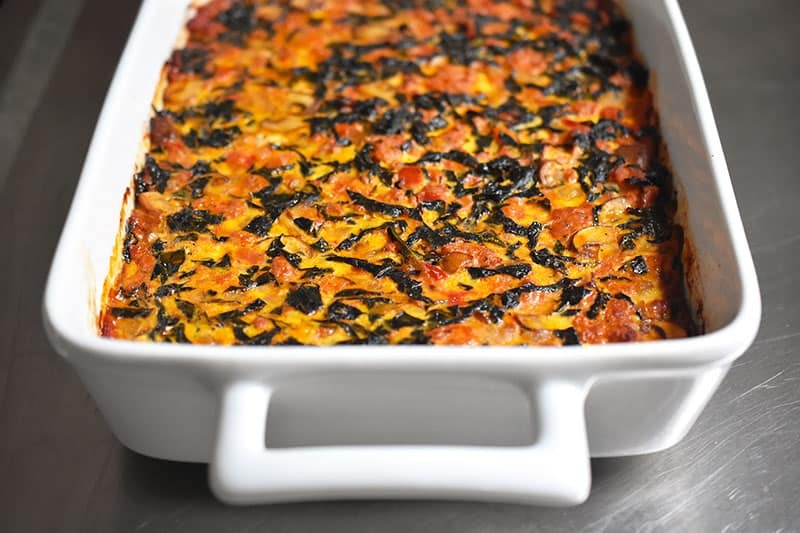 This comforting casserole is a cinch to throw together, and my boys love it because the flavors remind them of pizza. Plus, I always have plenty of time to throw together a big green salad while my Italian Sausage + Kale Casserole bakes in the oven. 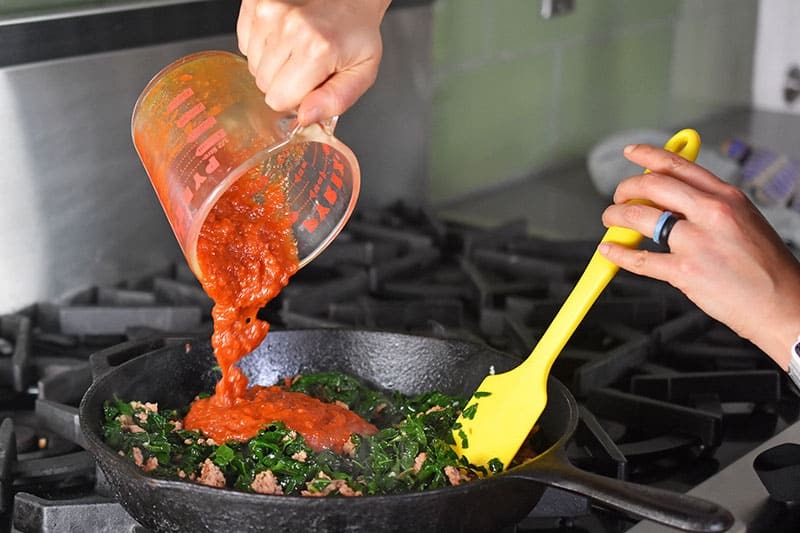 By the way, you should feel free to mix up the greens to use up whatever you have lying around in the fridge—but if you’re following a Whole30, make sure to use compliant Italian sausage and marinara sauce. 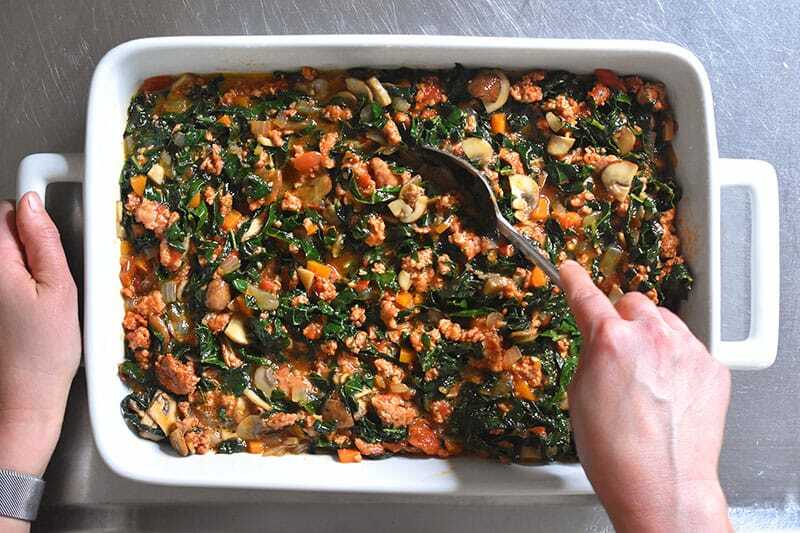 This Italian Sausage + Kale Casserole is perfect to eat now or to make-ahead for packed meals. Simply slice it up and toss it in the fridge for the coming week’s pack-and-go lunches! 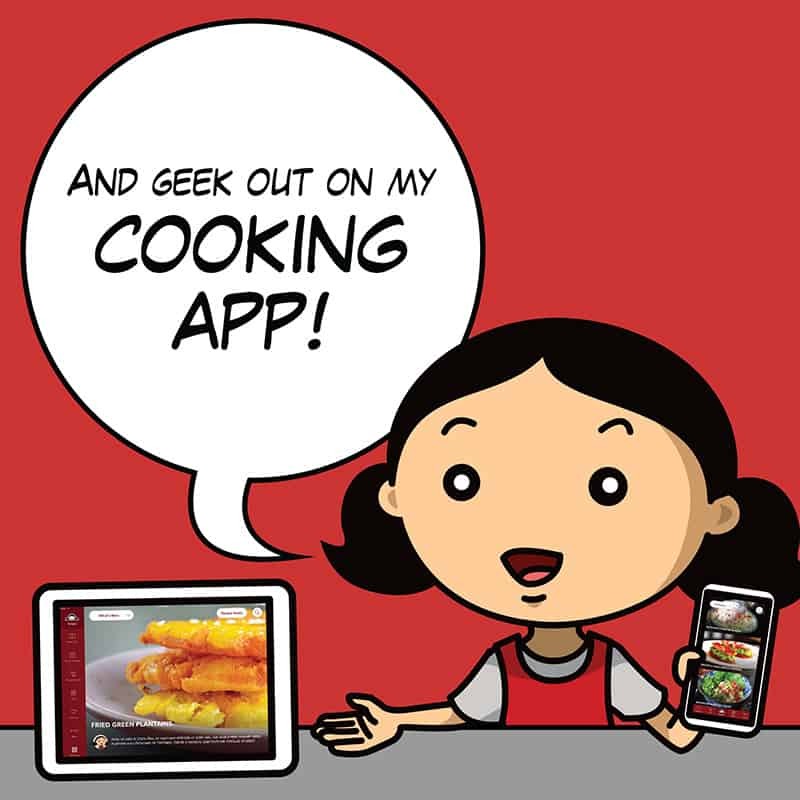 Preheat the oven to 400°F with the rack in the middle. Heat a large skillet over medium-high heat. 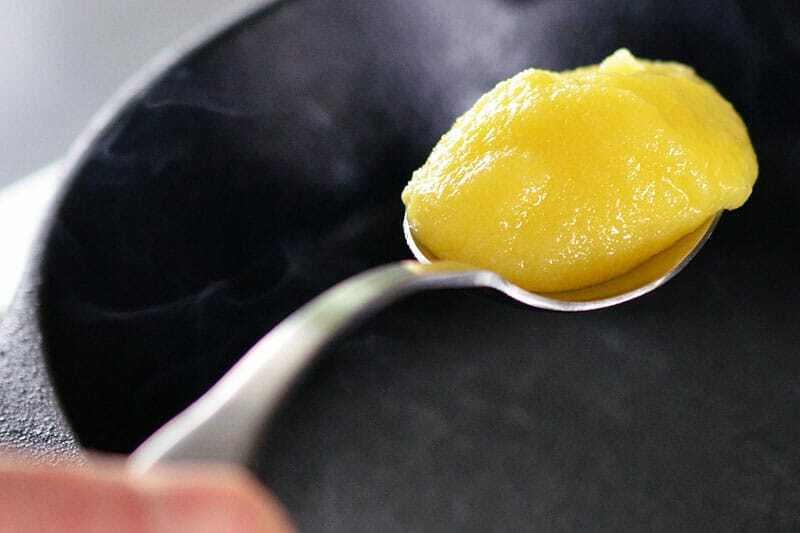 Add 2 tablespoons cooking fat to the pan when it’s hot. 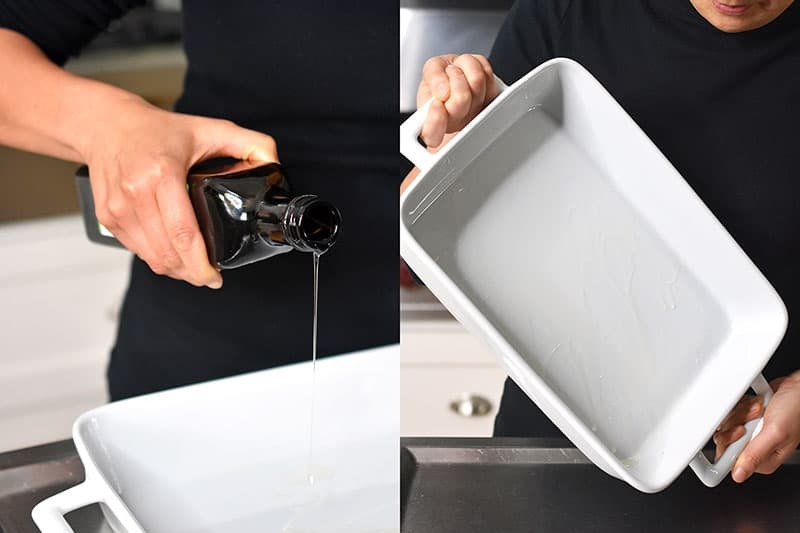 Grease a 9 x 13 casserole pan with the remaining ½ tablespoon of fat. 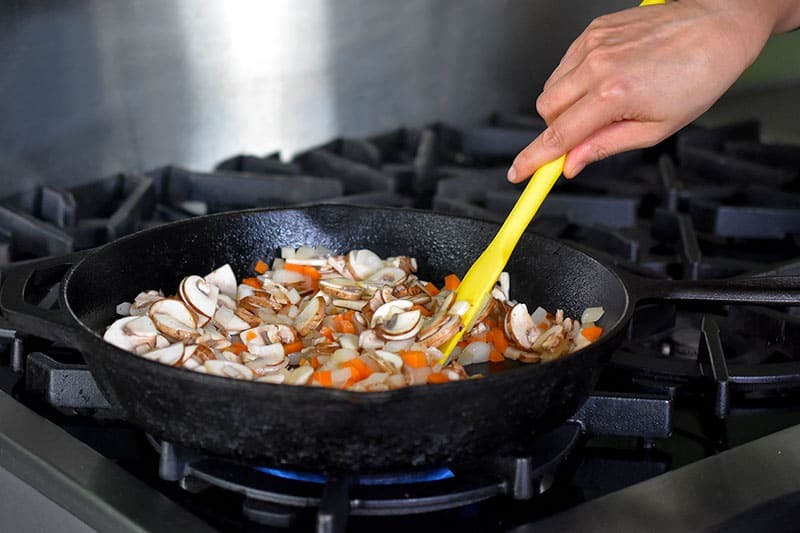 Toss the onions, carrots, and mushrooms into the skillet. 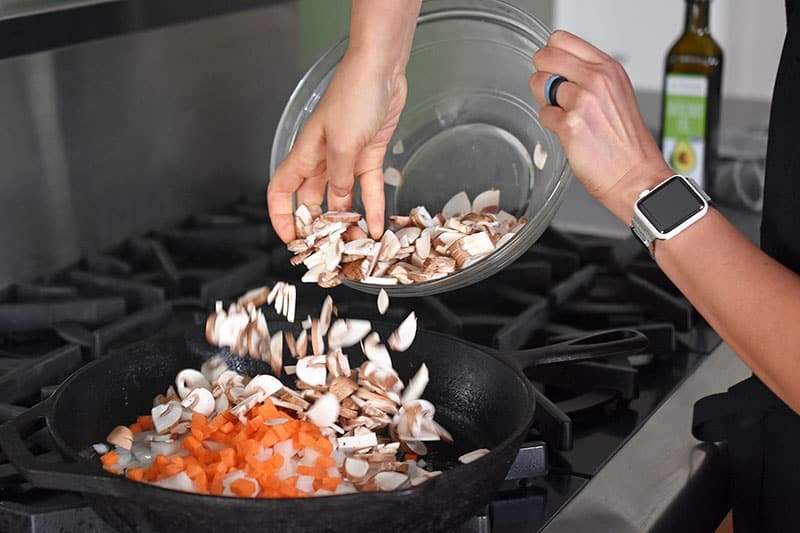 Cook until the moisture has evaporated from the mushrooms and the vegetables have softened, about 5 to 7 minutes. Season with about 1 teaspoon of Magic Mushroom Powder (or salt) and a sprinkle of pepper. Stir to incorporate. 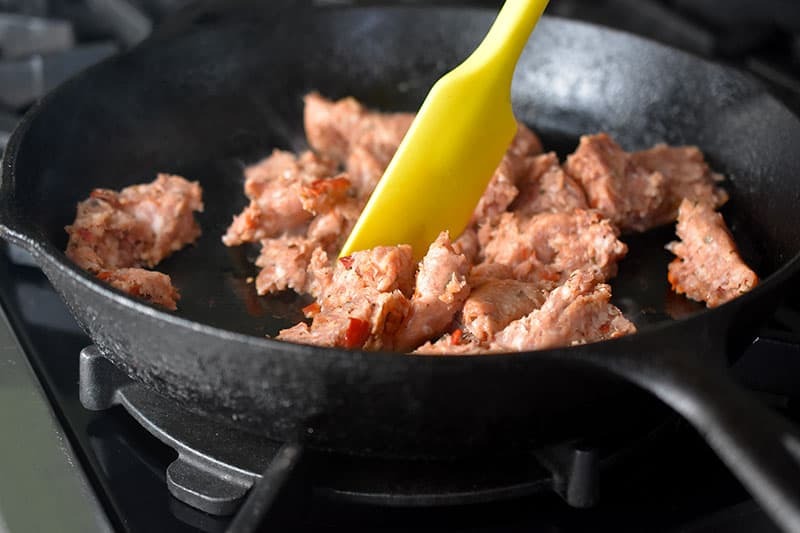 Decrease the heat to medium, and add the sausage to the now-empty skillet. 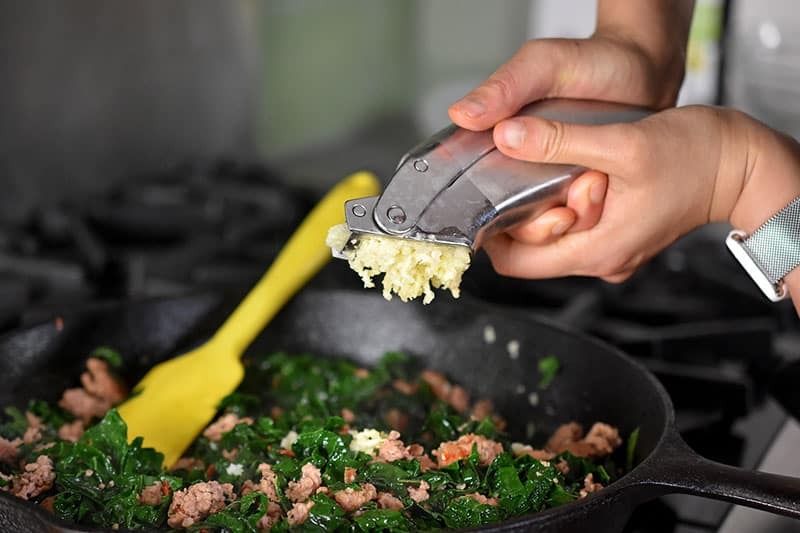 Break up the meat with a spatula. Cook, over medium heat, stirring, for 5 to 7 minutes or until it’s no longer pink. 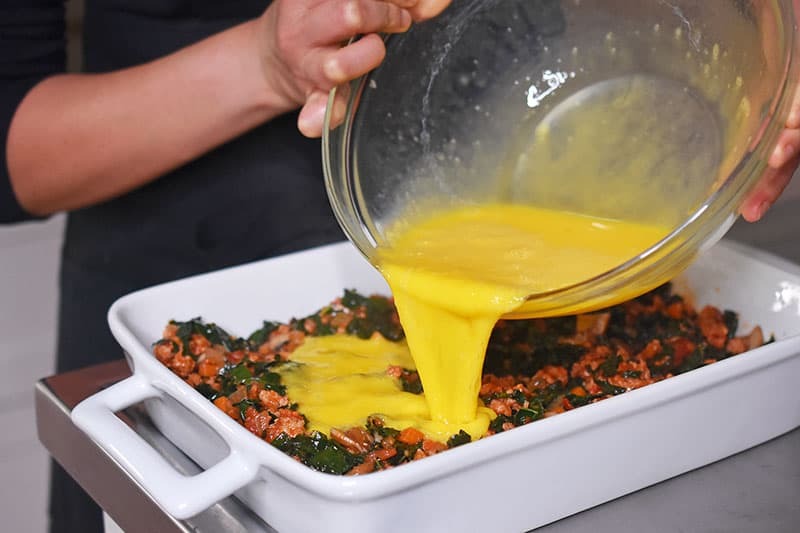 Add the kale and stir to combine. Sauté until the greens are wilted, about 2-3 minutes. Stir in the minced garlic and cook for 1 minute or until fragrant. Pour in the marinara sauce and add the oregano. Season to taste with another ½ teaspoon of Magic Mushroom Powder or with salt and pepper. Stir well to incorporate. Transfer the sausage mixture to the ingredients in the casserole pan. 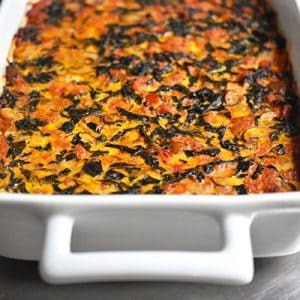 Pour in the whisked eggs to the casserole pan and stir to combine. 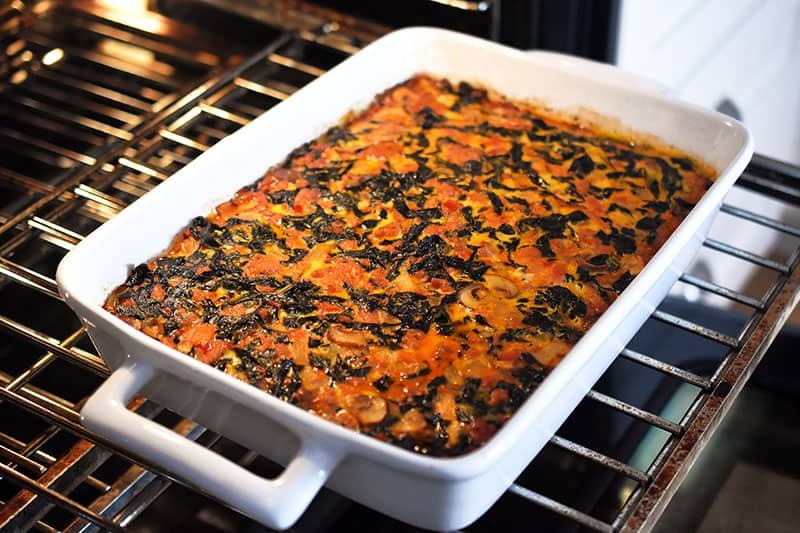 Put the casserole in the oven and bake for 25-30 minutes or until the eggs are set and browned on the edges. 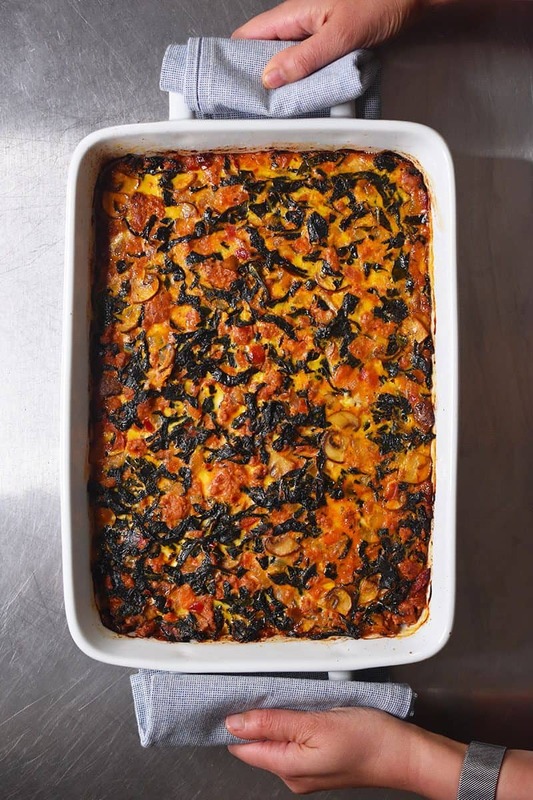 Rest the casserole for 5-10 minutes, and then slice and serve. Extras can be refrigerated for up to 4 days or frozen for up to 4 months. 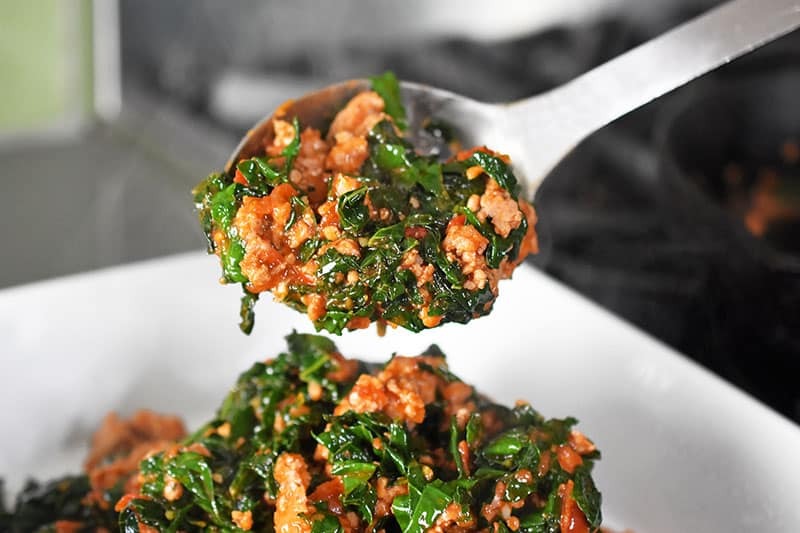 Italian Sausage + Kale Casserole is a Whole30-friendly, comforting supper that will please the whole family! Eat it now, or slice it up and toss it in the fridge for the coming week’s pack-and-go lunches! 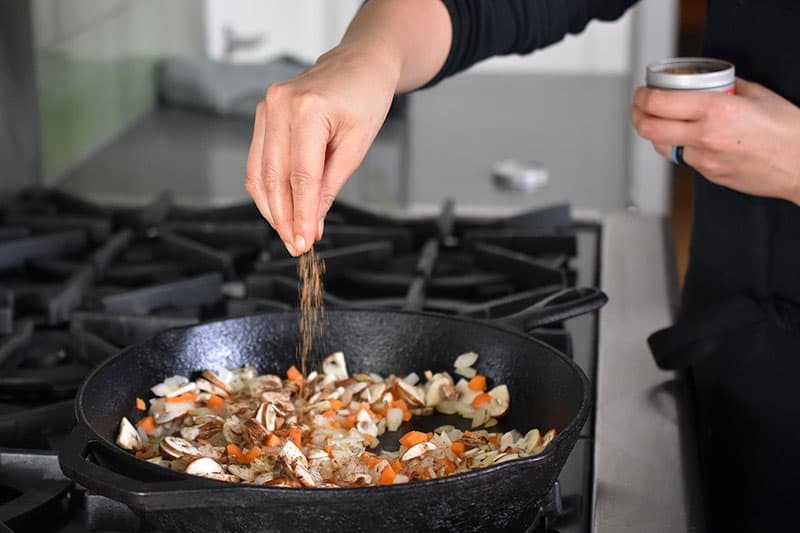 Toss the onions, carrots, and mushrooms into the skillet. 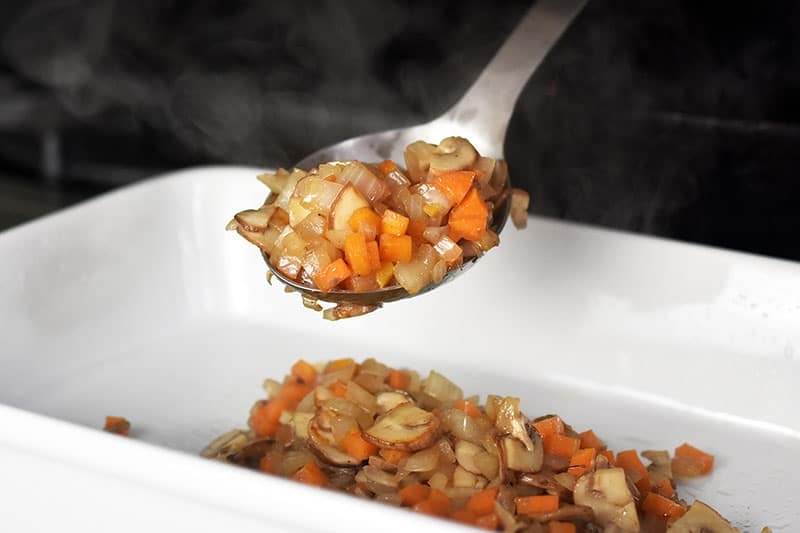 Cook until the moisture has evaporated from the mushrooms and the vegetables have softened, about 5 to 7 minutes. Season the veggies with about 1 teaspoon of Magic Mushroom Powder (or salt) and a sprinkle of pepper. Stir to incorporate and then transfer to the greased baking pan. 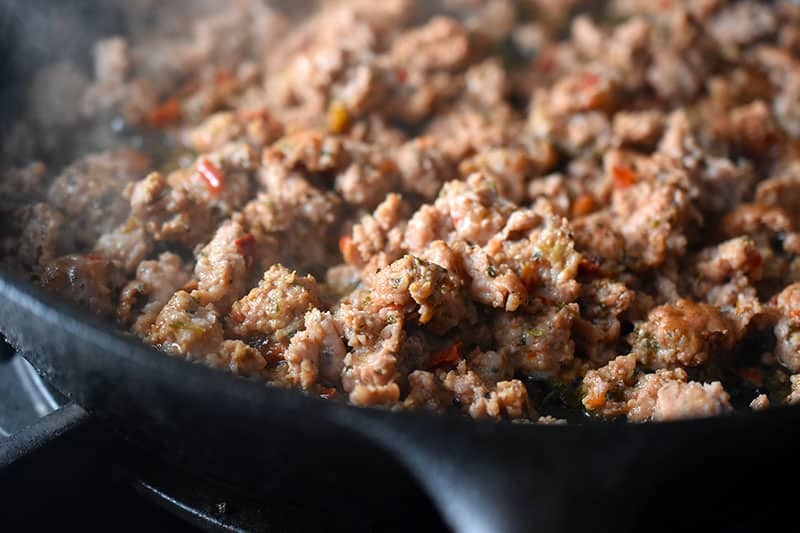 Decrease the heat to medium, and add the sausage to the now-empty skillet. Break up the meat with a spatula. Cook, over medium heat, stirring, for 5 to 7 minutes or until it’s no longer pink. Pour in the marinara sauce and add the oregano. Season to taste with another ½ teaspoon of Magic Mushroom Powder or with salt and pepper. Stir well to incorporate. A tasty variation: Dollop on spoonfuls of pesto (e.g. Arugula Pesto) onto the top before baking!